A fully refurbished three bedroom flat. Offering a good sized lounge with feature fire place. There two double bedrooms with ensuite bathrooms, an attic bedroom and a seperate W.C.There is a modern fitted kitchen with electric cooker. 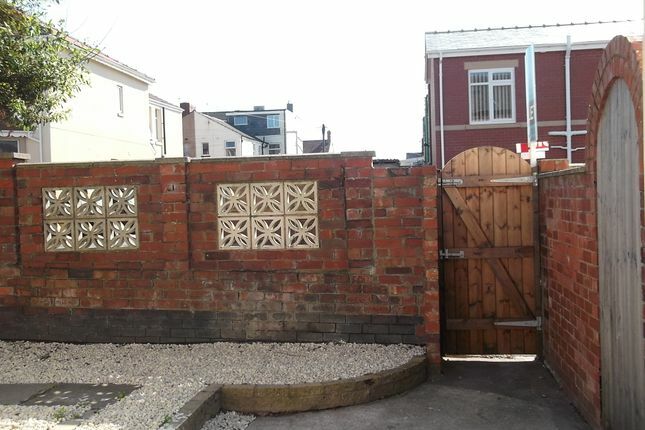 This property has been fully refurbished in a neutral decor and offers gas central heating and double glazing.There is a large private garden to the rear and also benefits from a garage. Property descriptions and related information displayed on this page, with the exclusion of Running Costs data, are marketing materials provided by Central Property Management, and do not constitute property particulars. Please contact Central Property Management for full details and further information. The Running Costs data displayed on this page are provided by PrimeLocation to give an indication of potential running costs based on various data sources. PrimeLocation does not warrant or accept any responsibility for the accuracy or completeness of the property descriptions, related information or Running Costs data provided here.